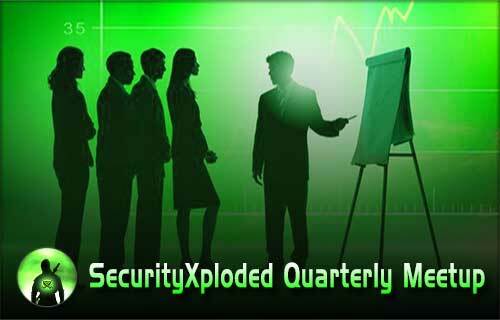 We are excited to launched dedicated quarterly Infosec Meetups from SecurityXploded team. These meetings will primary focus on emerging security trends and latest research work in the field of malware analysis, exploit development, mobile and system security. In each meetup, there will be two dedicated sessions from SecurityXploded core expert team and two guest sessions where in you will have the privilege of presenting your own research work in infosec field. All the presentations/video demos will be online on our website after the session. For more exciting details and announcements, be a part of our Mailing List.